Unused pharmaceuticals, which end up in the environment, such as in groundwater, pose a major threat to public health and the environment, by leading to the development of antimicrobial resistance (AMR) in humans. AMR was on the EU’s agenda as lately as 16-22 November as part of the World Antibiotics Awareness Week and gave attention to the continued overuse of antibiotics in agriculture and animal husbandry. The misuse of antibiotics during pharmaceutical production process and market authorisation can cause environmental pollution and contribute to the rise of AMR. In 2013, the European Commission said in a report that more than 150 different pharmaceutical substances and metabolites have been found in various water bodies in Europe, including in drinking water supplies. “We need to change our consumption and prescription culture,” Sascha Marschang from the European Public Health Alliance (EPHA) at an event in the European Parliament on Thursday (10 December). “This involves a big effort in educating patients, health professionals and pharma industry in order to change expectation and habits and force the correct use when antibiotics are necessary and remove perverse incentives that encourage unnecessary consumption and production,” he added. Changing Markets, a purpose-driven business that support NGOs in developing ideas for sustainability, has investigated pharmaceutical manufacturing locations in China and Inner Mongolia. One pharmaceutical company in China, NCPC, was in many cases found to not treat its waste, only dumping it straight into nature, said Natasha Hurley from Changing Markets at the Brussels event. Meanwhile, Inner Mongolia is increasingly becoming a production hub for all sorts of industries. “This makes it a lot easier for unscrupulous manufacturers to pollute without much public scrutiny. The population is less empowered to speak out against pollution for example and it’s just out of sight, out of mind. While people particularly in Eastern China are increasingly speaking out against pollution, they don’t do this in Mongolia, and therefore it’s an attractive manufacturing destination,” Hurley said. Elizabeth Kuiper, representing the European Federation of Pharmaceutical Industry Associations (EFPIA), said her industry is a global industry with global manufacturers and supply chain. Therefore, the sector has a responsibility to apply the same standards across the world. “When it comes to different parts of the world, it’s important to note that we deal with different local governments. That really shows that a lifecycle approach is needed,” she said. Roberto Bertollini, the chief scientist at the World Health Organisation’s (WHO) representation to the EU, who is also a trained physician, mentioned that he has had numerous discussions with particularly parents who have demanded antibiotics for their children, even when the children did not suffer from a disease related to bacterial infection. “The answer to the problem would be developing substantial knowledge. 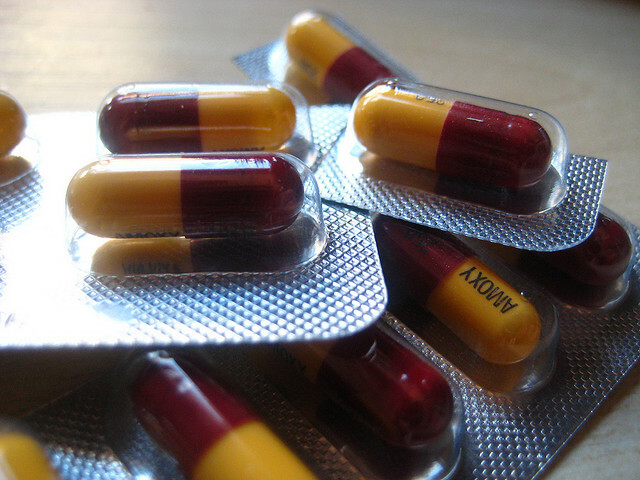 There is antimicrobial resistance all across the world, not only in Europe. There is a major information gap on this particular problem and the understanding of its importance and the tools to tackle AMR do not exist in many countries,” he said. For the Commission, AMR is a top-priority, Helen Clayton of the executive’s DG ENV said, though a strategy on how to tackle pharmaceuticals in the environment, which was supposed to be published in September, was delayed. Instead the report will be published by the end of 2016. Antimicrobial Resistance (AMR) is a global health threat of unprecented scale and urgency, say many health NGOs. During the first World Antibiotic Awareness Week (WAAW) from 16-22 November 2015, and the 8th European Antibiotic Awareness Day (EAAD), the emphasis was put on the global nature of the emergency. In Brussels, the European Commission, ECDC and WHO said that only effective collaboration could tackle the complex challenge posed by AMR. February 2016: The Parliament's AGRI and ENVI committees vote on the use of antibiotics in healthy livestock. End 2016: Commission to publish a delayed report on pharmaceutical pollution of the environment.